One owner 2016 Nissan Maxima SV in Pearl White with Black leather! This Maxima SV has the right look and features including brand new tires, leather seats, heated front seats, navigation, remote start, dual power front seats, automatic climate control with separate driver and passenger adjustments, rear view camera, Bluetooth phone and audio, USB and Aux in audio ports, LED daytime running lights, and automatic headlights. 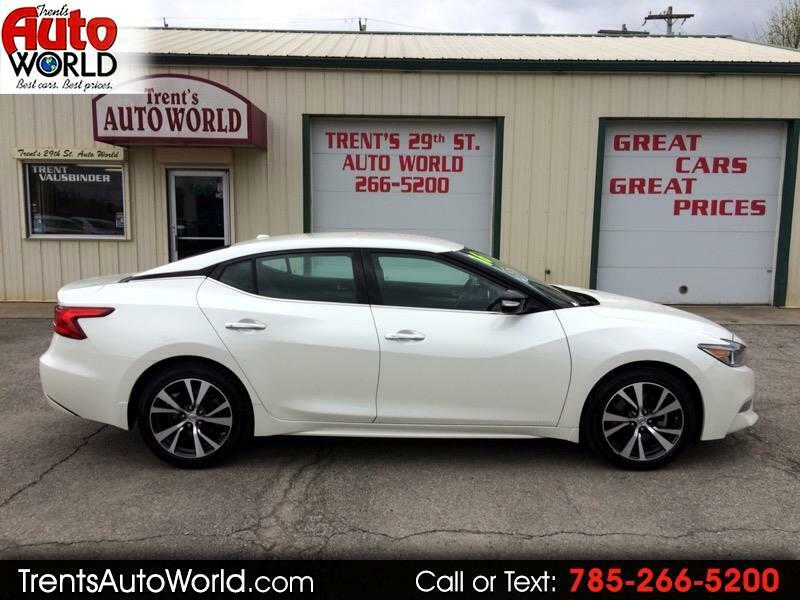 Please call Glenn or Trent with questions at 785-266-5200 or stop by today for a closer look and test drive. Thank you for shopping trentsautoworld.com! !